Just thought I would let anyone know that was interested in the "no-name" fabric that I bought from Spotlight that I mentioned in my earlier post that it was properly labelled after all (sorry Spotlight). 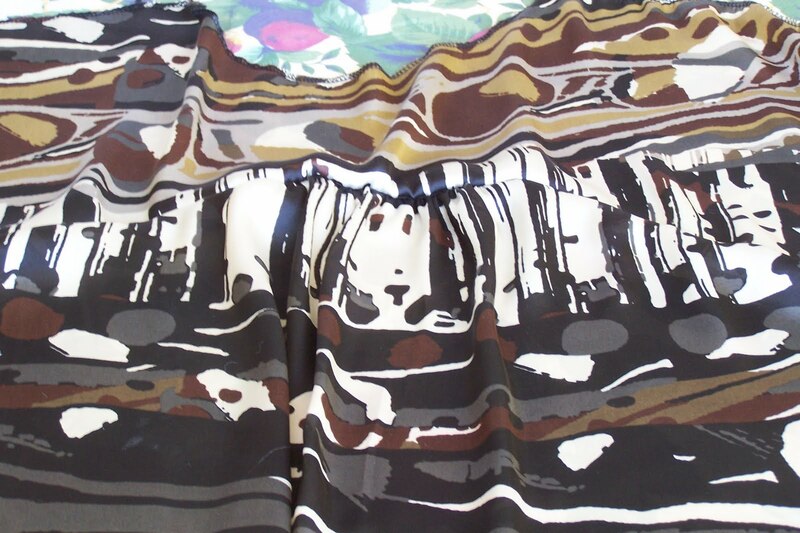 It is a silky satin made from 100% non-stretch polyester called Tribal Safari. Below is a photo to remind you what it looks like. If you want to buy some, it should still be in the store as I only bought it a couple of weeks ago. 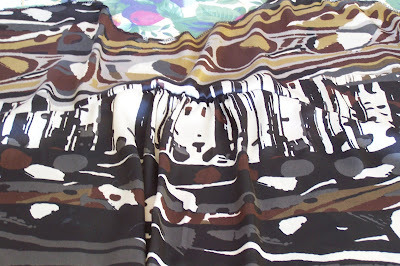 One of the few fabrics to not experience a long time waiting in the stash! I hope to do a little more work on it this weekend and should have some more photos of my progress for you soon. The Lure of the Sale!